We understand our client’s needs for operating reliable and efficient energy plant. 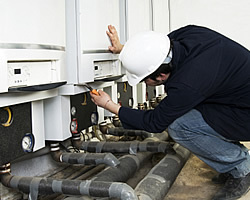 We offer years of experience in the maintenance of industrial and commercial gas boilers and their processes. Our team can also review your energy system and provide fuel efficiency improvements through burner tuning or upgrades, economizers and other energy-saving options.